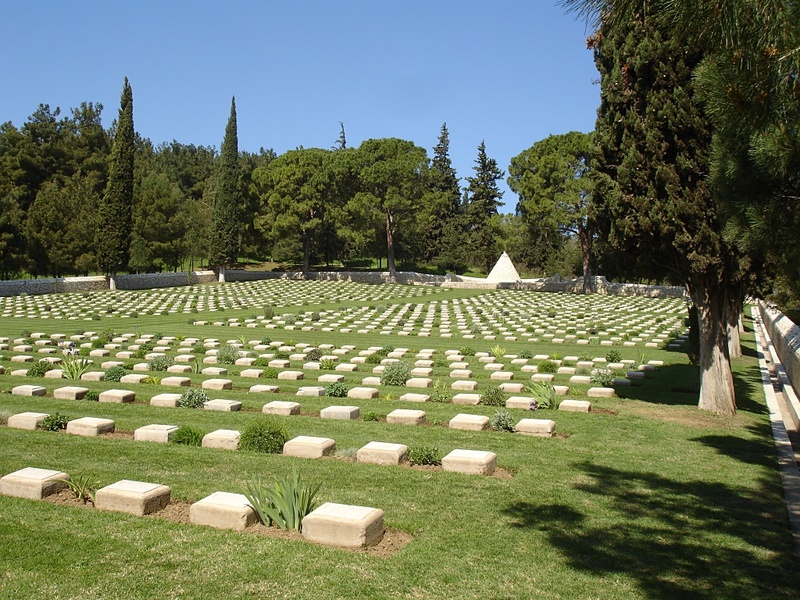 Karasouli Military Cemetery is on the edge of the town of Polykastro (formerly Karasouli) which lies some 73 kilometres from Thessaloniki, between the River Axios (Vardas) and the south end of Lake Ardzan (now dry and replaced by a reservoir). 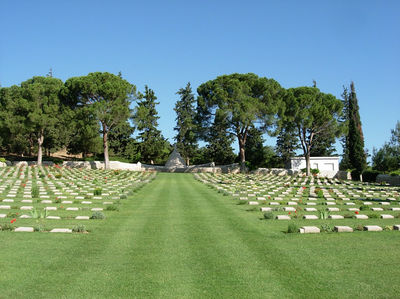 The cemetery is behind the football stadium and is next to the Civil Cemetery. Take the main highway north from Thessaloniki to Evzoni & Skopje. After approximately 70km take the exit signed Kilkis and Polykastro where you shall pick up the CWGC signs that shall lead you into Polykastro and to the cemetery. HADZI BARI MAH MILITARY CEMETERY - graves transferred to Karasouli in April 1919. Hadzi Bari Mah (also known as Haji Bari Mahalesi) is a village at the foot of the mountains 14 miles West of Lake Doiran, across the Vardar river. 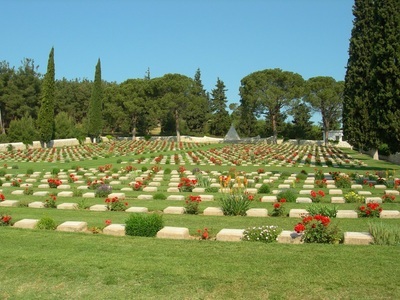 The Military Cemetery, South of the village, was in use only from the 25th August to the 17th September 1918. 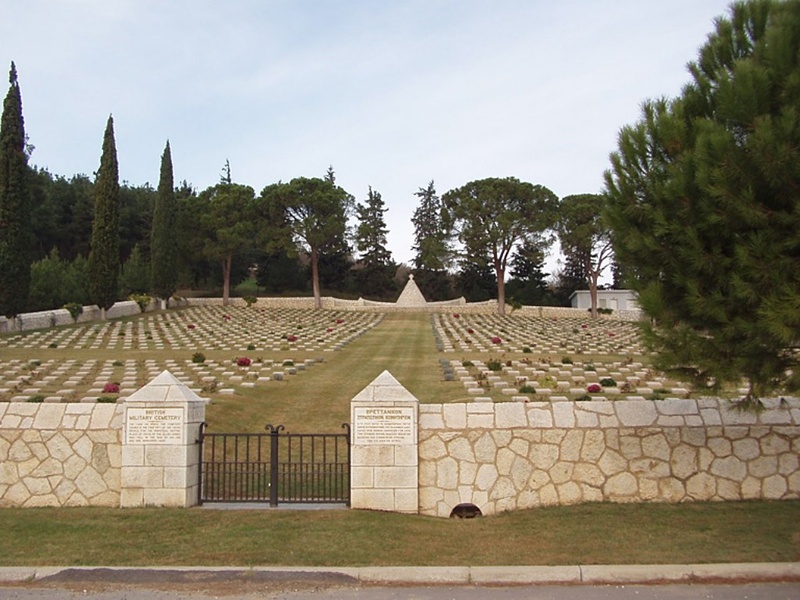 It contained 61 British and 2 Bulgar graves, and 46 of these were the graves of men of the 10th Hampshires and the 2nd Gloucesters who captured the enemy salient here on the 1st September. 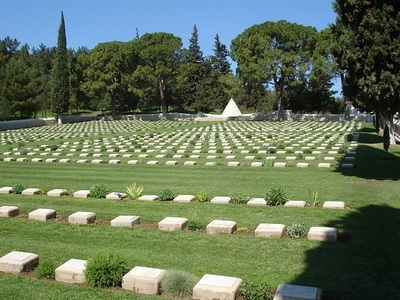 CAUSSICA MILITARY CEMETERY - graves transferred to Karasouli in November 1920. Senelle Ravine, a front line position between Doiran town and the Greek border, where the British cemetery contained 95 British graves. Gugunci (properly Chuguntsi), a village about four miles North-East of Caussica, where between August 1916, and September 1918, the Field Ambulances buried 154 British soldiers. 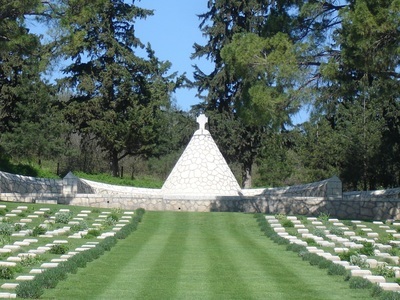 Doldzeli (or La Tortue, or Torquay), a front-line cemetery a mile South West of Lake Doiran with 23 British graves. Reselli (or Ereselli), a village three miles North-West of Caussica, where the 13th Manchesters began a cemetery of 31 British graves. 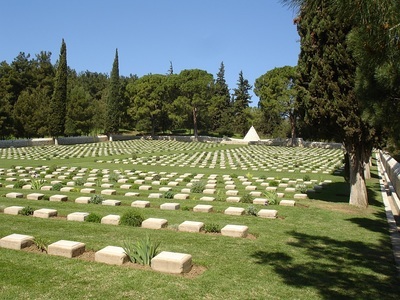 Kilindir (or Krundirtsi), a village with a railway junction three miles South of Lake Doiran, where 45 British soldiers were buried in two cemeteries. Ardzan (Arjan, or Harajinovo), a village two miles West of Caussica, where the 12th Cheshires began a front-line cemetery of 22 British graves. 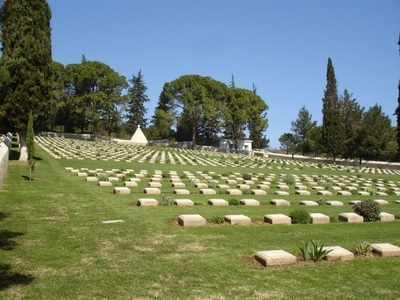 KALINOVA MILITARY CEMETERY - graves transferred to Karasouli in December 1920. Kalinova No.2 - 18 graves. 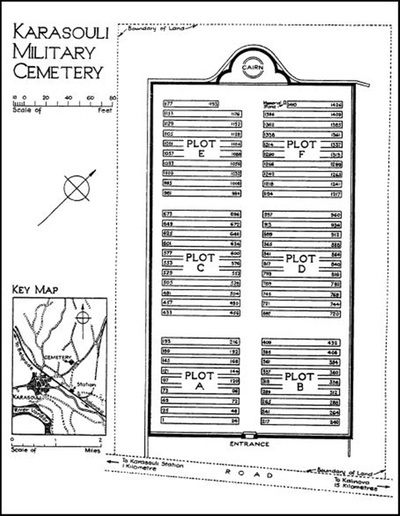 Rates, a village five miles South of Lake Doiran - 11 graves. Cidemli, a village 2.5 miles to the North, where the small cemeteries of the 8th D.C.L.I. and the 117th Brigade, R.F.A., and two others contained 30 British graves. Senelle Ravine, where 35 British soldiers were buried in the French Military Cemetery. Horseshoe Hill, captured by the O.B.L.I. in August 1916, a cemetery on the Greco Serbian boundary which held 162 British graves and was largely used in the fighting of April 1917. Pearse Ravine, a front line cemetery containing 74 British grave. Whaleback, Worcester Post, Bastion Hill, Crow Hill, Kidney Hill, Scratchbury Hill, Christmas Ravine, Clichy and other points named from positions opposite the Petit Couronne and the Grand-Couronne, where 94 British soldiers in all were buried. 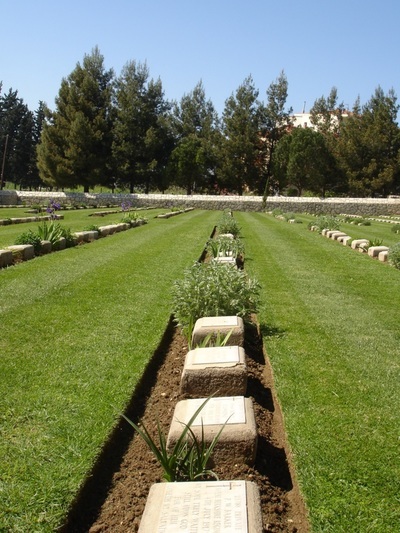 Karasouli Military Cemetery now contains 1,421 Commonwealth burials of the First World War, 56 being unidentified. 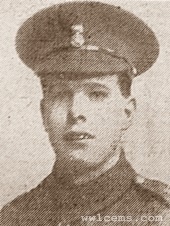 13827 Serjeant Harry Ashton, 11th Bn. Cameronians (Scottish Rifles), executed for desertion 8th July 1917, aged 20. Row C. 487. Son of the late William Ashton, and of Alice, his wife, formerly of Manchester, now of Ramsgreave Rd., Wilpshire, Blackburn, Lancs. 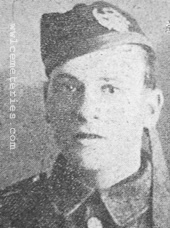 S/5470 Private Archibald Brown, 10th Bn. Black Watch (Royal Highlanders), executed for desertion 1st June 1917. Row A. 22. Son of Mrs. Elizabeth Brown, of 28, Louth Street, Leven. 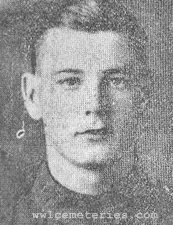 204232 Private Robert Young, 11th Bn. 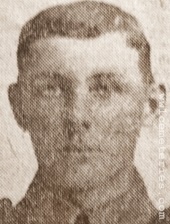 Worcestershire Regiment, executed for desertion 18th September 1918, aged 21. Row D. 885. 19th September 1918, aged 20. 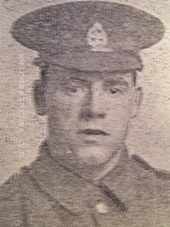 Son of Joseph and Margaret Ashworth, of 46, Cleaver St., Burnley. 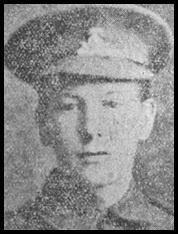 19th September 1916, aged 21. Lived at 26 Hallows Street, Burnley, Lancashire. Lived at 39 Hollingreave Road, Burnley, Lancashire. 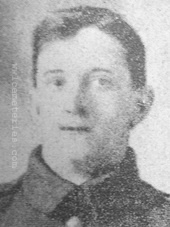 19th November 1916, aged 20. 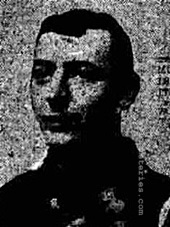 Son of Abraham and Sarah Dracup, of 105, Hufling Lane, Burnley. 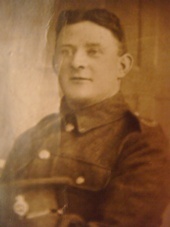 Son of John and Sarah Ann Deeble, of 59, Cavour St., Burnley. 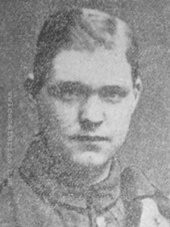 14th September 1916, aged 26. Lived at 16 Holme Street, Burnley, Lancashire. Son of Frederick and Martha Graham, of 5, Whittlefield St., Burnley. Lived at 12 River Street, Burnley, Lancashire. 28th April 1917, aged 26. Son of George William and Mary Elizabeth Metcalfe, of 4, Norman St., Burnley. 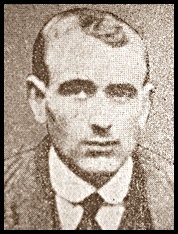 William Henry Ridge M. M. & M. S. M.
17th September 1918, aged 28. 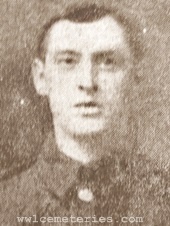 Died of Malaria 22nd September 1916, aged 23. Son of William and Susan Louisa Riley, of 311, Briercliffe Rd., Burnley, Lancashire.